Made By McCoy: Bad blogger! Bad! Yeah, I've been a bad blogger. No posts since November? I have, however, been busy with lots of lovely projects - many I'll try to post about over coming weeks. I've caught up with a few projects, shelved a few and started too many new ones. 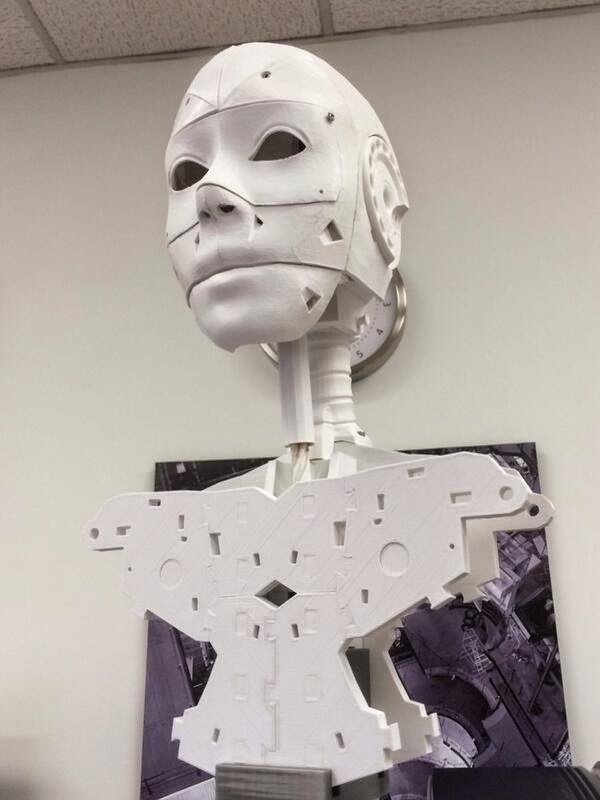 One that's taking pride of place, is my 3D printed InMoov 6ft humanoid robot. It's amazing how people start bugging you less, when you have a humanoid robot standing behind your chair, facing the door and occasionally shaking it's head.